LISSMAC’s fully automated deburring system processes up to 3 metal sheets per minute without the use of manual labor. In a user friendly menu, up to 500 settings can be pre-programmed and called up quickly and easily, as needed. 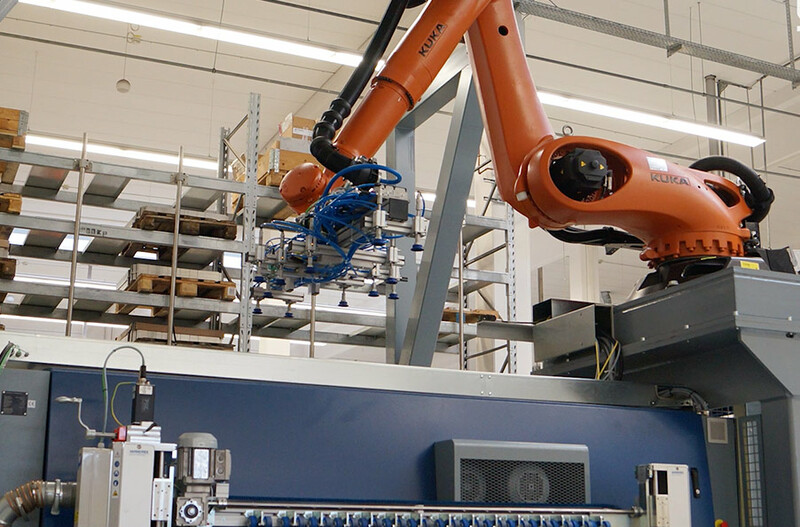 A KUKA Robot is used for loading of the SBM-L G1S2 Deburring Machine. It places sheets ranging from 600 x 600 mm to 1000 x 1800 mm, onto the infeed belt. After the parts have been deburred by running through the machine, they are cleaned in a Wandres System, and then unloaded by the KUKA Robot. Smaller parts or lower quantity batches can also be processed manually or semi-automated, if required.